It has been awhile since I last post a post regarding foods. So here's one! 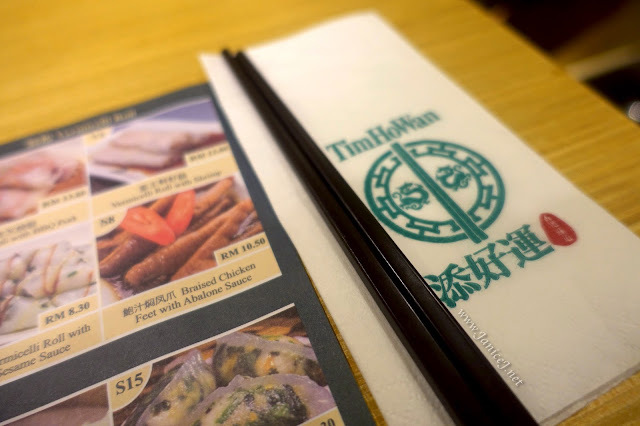 So after attending the MOBITE Expo last Saturday, me and my housemate went for dim sum at the famous Tim Ho Wan. We queued and waited for a while to get a table. It is normal to wait during peak hours for this restaurant. 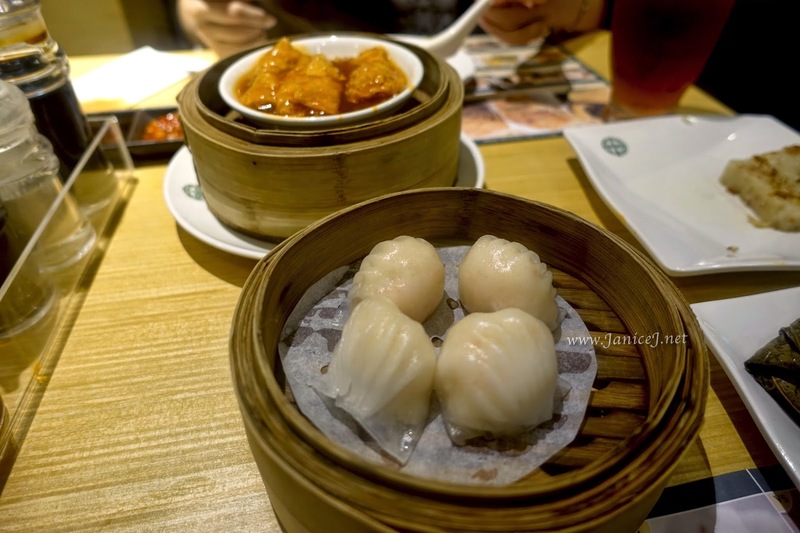 Tim Ho Wan is a Hong Kong Chinese Dim Sum restaurant that gained entry to the michelin star guide. The first outlet in Malaysia is in Mid Valley, and is to believe that the second outlet will be opening soon in One Utama soon. 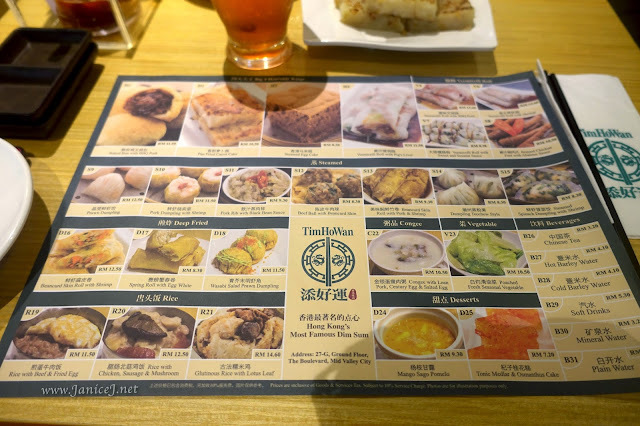 The selection is limited compared to other dim sum restaurant. There are no menu and to order, it is all self service, to mark on the paper and pass to the waiters around. The price is on the expensive side, like other Michelin Star restaurant. 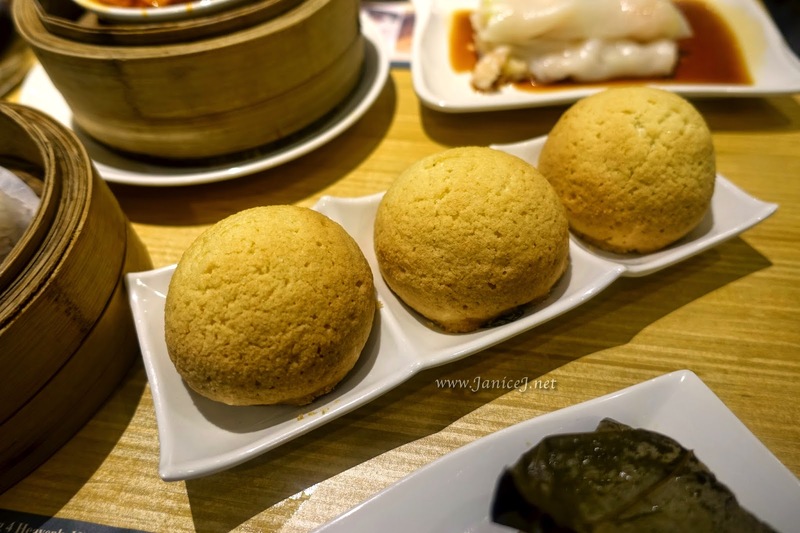 Tim Ho Wan is famous for it's Big 4 Heavenly King Dim Sum 四大天王, including the Baked Bun with BBQ pork 脆皮焗叉燒包, Pan Fried Turnip Cake 香煎蘿蔔糕, Steamed Egg Cake 香滑馬來糕, and Vermicelli Roll Stuffed with Pig Liver 黃沙豬潤腸. The turnip cake is not as oily as some other restaurant. Other than that, it does not has that crispy deep fried skin. It is rather soft, and is different from what you can get outside. 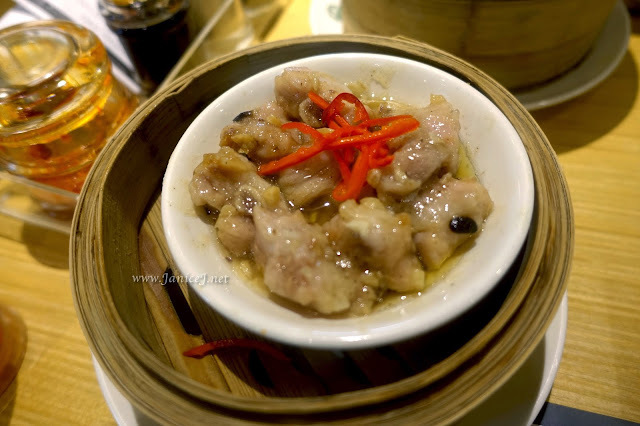 Baked Bun with BBQ Pork is another dish that most people will order on their visit. The skin is similar to Polo bun 菠蘿包, some might find it too sweets but it is worth a try. The real crispy skin is a pleasure on bite to the hot inner BBQ Pork. However, do not expect too much on the filling as it does not really fill up the bun fully. Some other dishes that we ordered are as below. The prawn dumpling is not as good as I expect, with the price almost doubled the prawn dumpling outside. 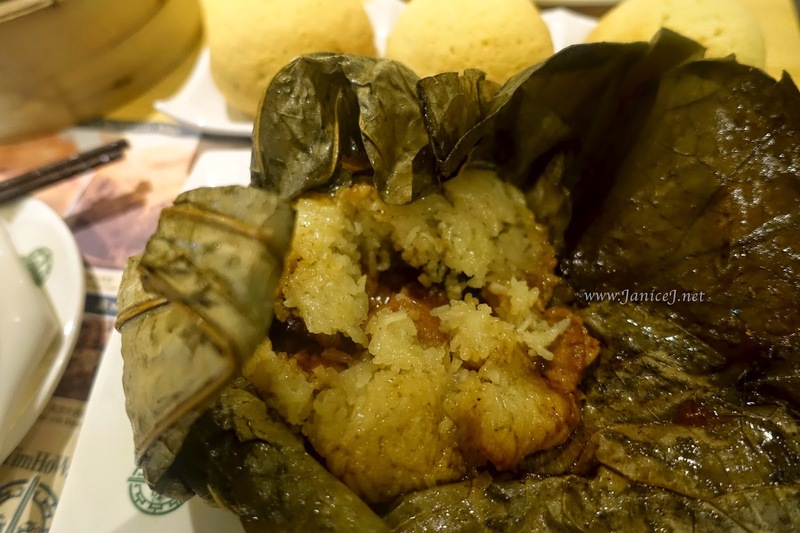 It is filled with prawns, but too dry for me. I expect more juices from the prawn dumpling. I really like how the taste of this dishes. 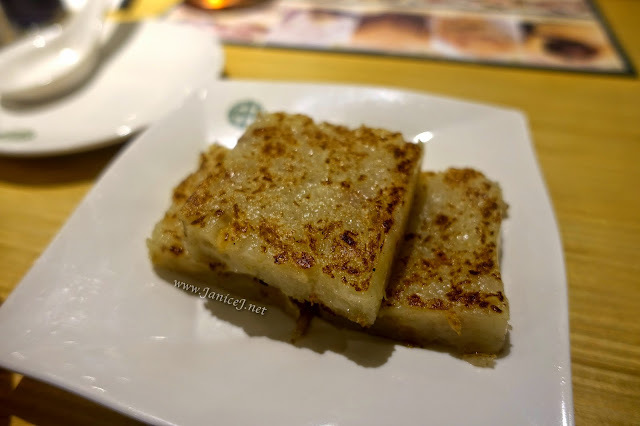 A must try in Tim Ho Wan. It tastes just right, not too sweet or tasteless. 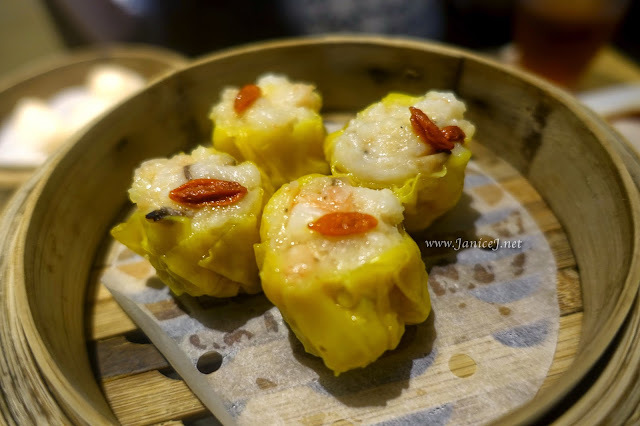 Inside are filled with pork and shrimp, which gives mouthful of satisfaction. 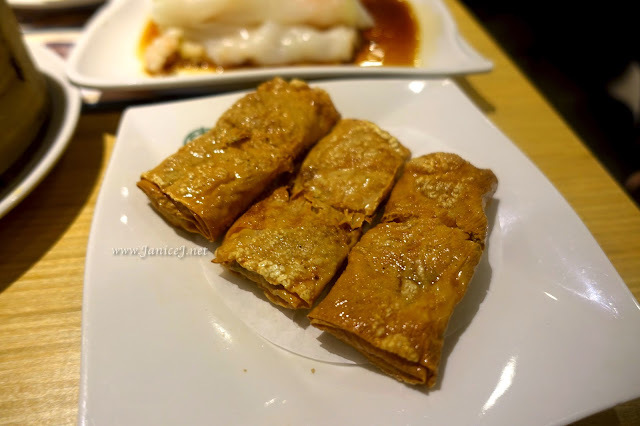 The beancurd skin roll with shrimp is similar to the one above. However, I would prefer the steamed version. However, it is not too bad but it is on the expensive side. We had this dish after some time and it is a little cold. That might be the reason why the skin gets thicker. However, the skin is still pretty Q, but overall it tastes average to me. Lots of fillings inside, but it is not too special to me. However, the portion is kind of big, suitable for pair sharing. 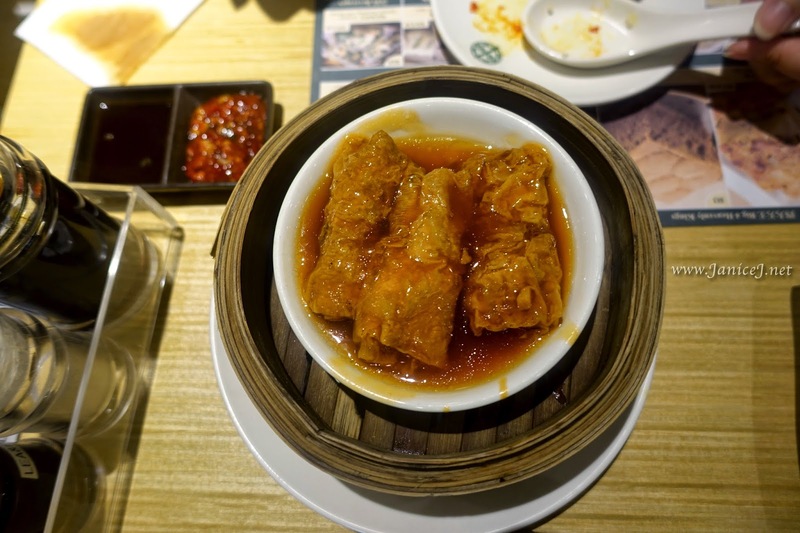 This dish has taste close to the familiar taste in Hong Kong. Light taste of the black bean sauce compliments the Pork Rib. I first finds it tasteless, but the taste comes in after the 2nd pieces I eat. The housemate from Guangdong says that this is how it supposes to taste like. They say keep the best for last right? 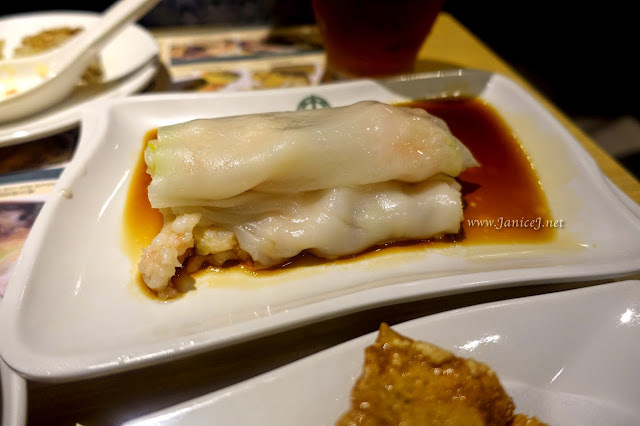 I really like the Pork Dumpling with Shrimp (Siew Mai!). It is juicy enough, tasty and I finds the wolf berry compliments the dumpling well. This is my holy grail dish that I swear by and is by far the best Siew Mai I've tried. Coming to the end, in overall I think that the dishes are all on the expensive side. Both of us girls spent around RM130 for this meal. Is is worth the queueing? No I doubt so. However, I hope to try out other dishes as well. I will definitely pass out a few "normal/average" dishes that I mentioned and only reorder those that's worth it. I would also love to try out others, but not during main meals, maybe during less peak hours. In summary, here's what I would recommend and what's not without considering the price. So.. I end it here! 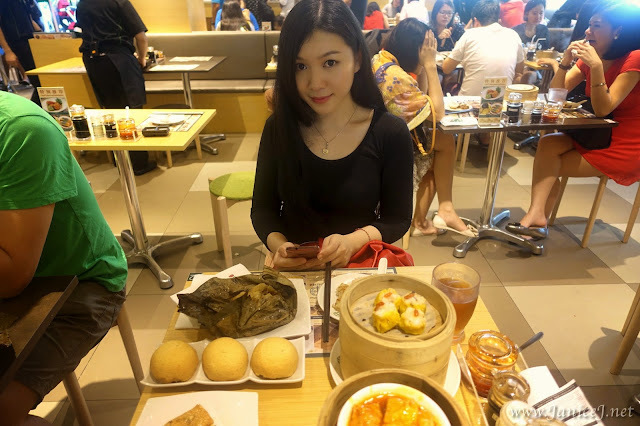 Do you like to eat dim sum? Which is your favourite? Let me know! I am planning to go to Malaysia the following year, and your review is a great help in knowing what to try or not. However, I do not know if this will be available in my destination city or not.